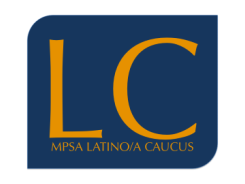 Stay up to date with the latest news and events from the MPSA Latino Caucus! JOIN US IN CHICAGO AT MPSA 2019! Check out our schedule here and join us for a panel or roundtable! Pay your annual caucus dues online! Read the latest newsletter: mpsalcwinter2019_v5.pdf! Check us out on Twitter or send us an email!